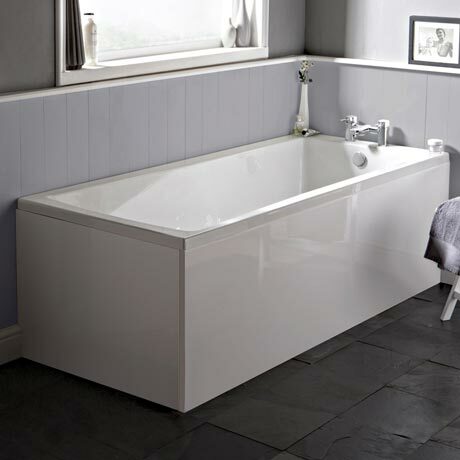 The Linton square single ended bath with acrylic bath panels has clean, crisp lines that will look great in your new bathroom. Bath tub is supplied with metal Leg Set. Please note the image shown is for illustration purposes only. Please select your chosen size in order to view accurate product dimension. Product was as advertised very satisfied nice looking and very deep. lovely bath - great to be able to stretch out at last!!!. bath panels a bit thin - but had already decided on a different style of finish. Great Bath, Rubbish bath panels. Bath looks great and of good quality. Panels supplied are flimsy and likely to crack and break if knocked accidentally. Considering described as premier bath should come with better panels.